You've already found your perfect fireplace and now you're ready to complete your hearth with a pair of fireplace doors or fireplace screen doors. Fortunately, you've come to the right place. Here you'll find a huge selection of fireplace doors, screens, and frames designed for specific fireplace models and manufacturers. We can help you find the right doors or screen for almost any type of fireplace, particularly if you found it on eFireplaceStore.com. Shop for your perfect fireplace doors online today! I have two Majestic prefab fireplaces Model: MBUC36. Serial No. 18044473 (No. V369473) and am looking to replace the bifold doors on both fireplaces (UGD-36 glass doors). Unfortunately, we do not carry any doors that would be compatible with your unit. I apologize for any inconvenience. Unfortunately, we do not offer individual parts for fireplace doors. I would recommend purchasing the complete replacement door kit, but Majestic discontinued the doors for this model. 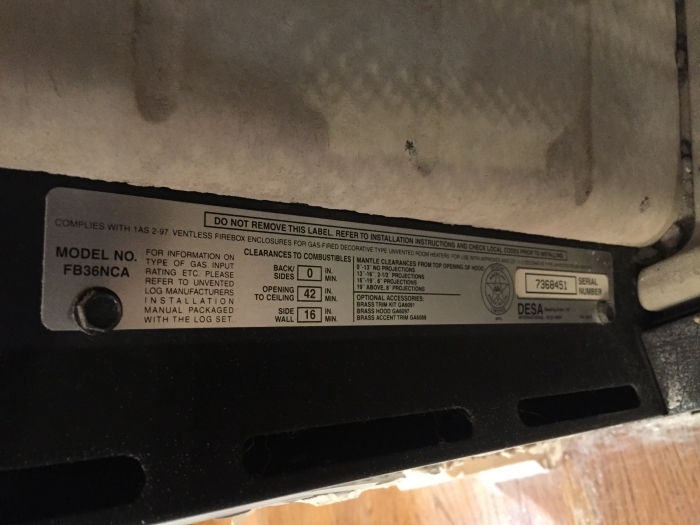 We have an unvented Vanguard fireplace (Model FB36NCA). I want to get glass doors to dress it up a bit. The outside opening is 36"x20.5". Do you have something that would fit and work for this type of fireplace? 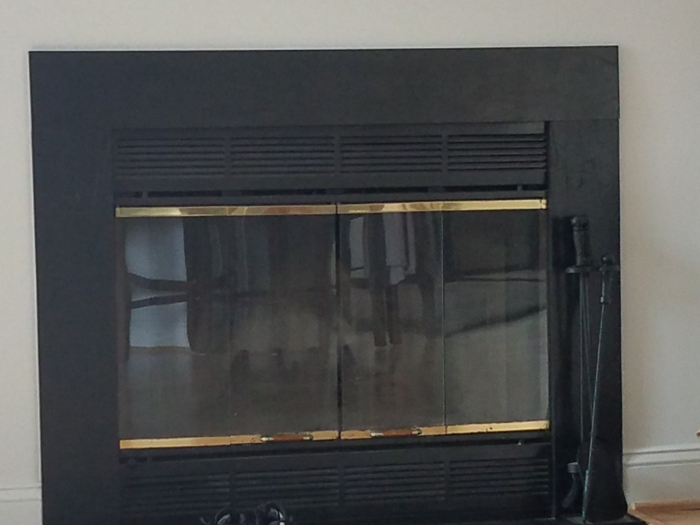 It is not recommended to place glass doors on a ventless fireplace and your unit will not have a track installed for one. Doors are model specific so we would not have a part to work for this. Unfortunately, we do not offer parts for fireplace doors and the doors for this particular model have been discontinued. 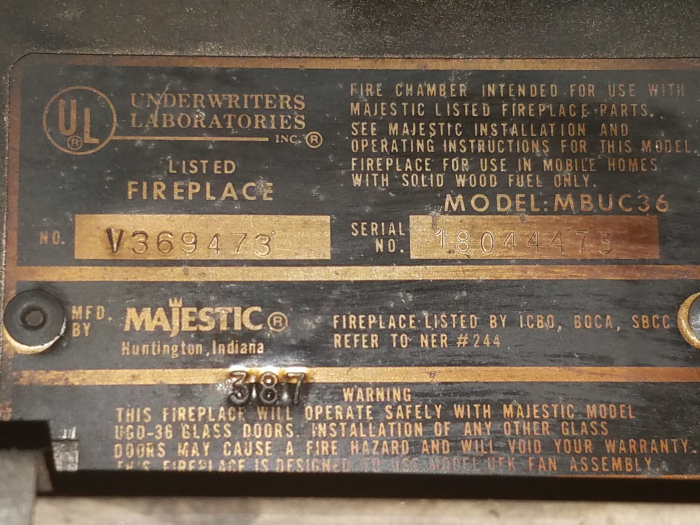 I have an older model Majestic prefab fireplace with opening dimensions 36" x 24". the ID plate is unreadable so I don't know the model number. Do you have a door that will fit? Unfortunately, I will not be able to advise on a proper door assembly with knowing the model number of the unit. We have doors that are close to the dimensions, but the mounting varies from model to model. 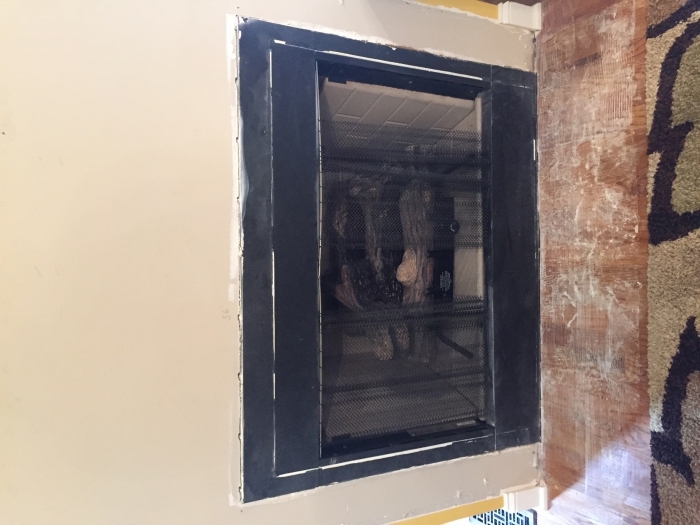 Prefabricated or factory built fireplaces utilize screens and door assemblies that are specific to the model number of the fireplace. When browsing for the perfect set of doors, be sure that your selections match up to the brand and model that you have. Any questions that arise can be swiftly answered by our highly trained technicians. Don't know which style is right for you? We can help with that too! Don't hesitate to call for guidance.